Wednesday 20th February 2019, 7:30pm. 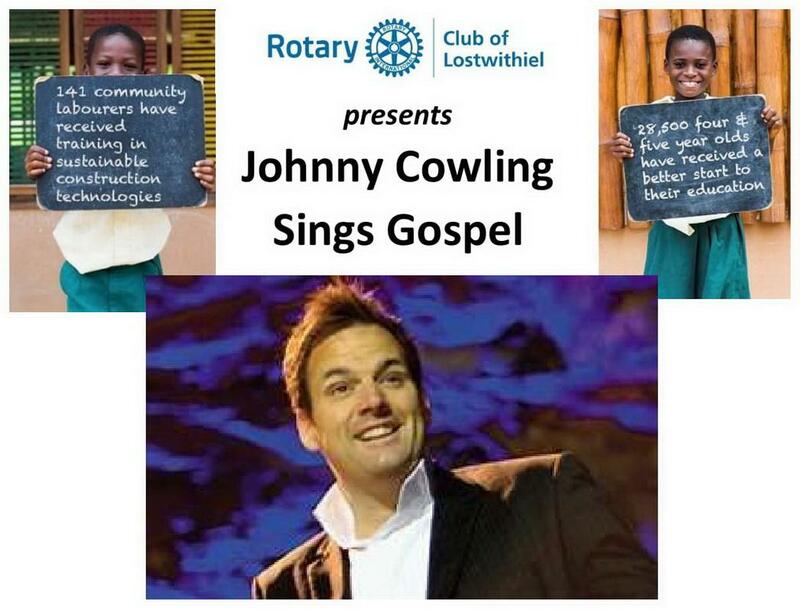 Lostwithiel Rotary hosts the very popular ‘Johnny Cowling Sings Gospel’. 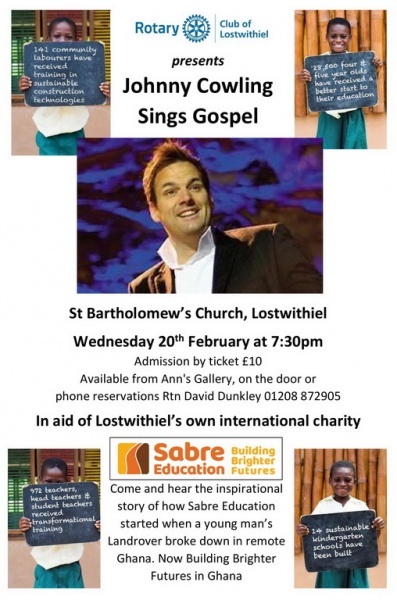 Profits to the Lostwithiel based Sabre Education Trust, a leading charity working in Ghana providing kindergarten schools and education. Now Building Brighter Futures in Ghana.